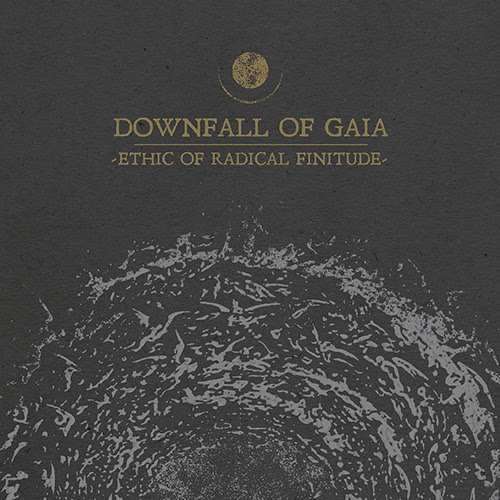 On February 8th, 2019, Downfall of Gaia will release their anticipated new album ”Ethic Of Radical Finitude”! ”Ethic Of Radical Finitude” is the international quartet’s most melodic, most structured and most dynamic release to date, once more building upon the epic and unique sludgy, crusty, exploratory metallic sound that has organically evolved with every release. Tracking for the album was handled at Hidden Planet Studio, Berlin by Jan Oberg, and Backroom Studios in New Jersey by Kevin Antreassian of Dillinger Escape Plan, and proved an entirely drama-free process, with everyone on the same page. A handful of guests also contributed their time, including some faces familiar to longtime followers of the band – rejoined by guitarist Peter Wolff, one of the founding members of Downfall Of Gaia, on “Seduced by…” and the drones on the songs “The Grotesque Illusion Of Being” and “We Pursue The Serpent Of Time” come courtesy of their former drummer Johannes Stoltenburg, aka Hidehidehide. Furthermore, they collaborated with Nikita Kamprad from Der Weg Einer Freiheit, who added vocals to “We Pursue The Serpent Of Time”, and spoken words for the song “Guided Through A Starless Night” were supplied by their friend Mers Sumida of Black Table. Unlike its predecessors, ”Ethic Of Radical Finitude” is not a concept album per se, but there is a core theme that unites the songs: discontented minds and the never-ending pursuit for more. When the band hit the road next year fans can expect to hear most of the tracks, marking the beginning of an exciting new phase in the life of Downfall Of Gaia. Metal Blade Records will re-issue first two Vomitory releases ”Raped In Their Own Blood” and ”Redemption” on vinyl and Digi-CD with bonustracks!